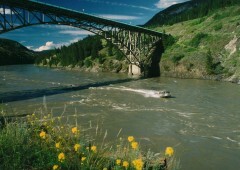 Join Cariboo Chilcotin Jetboat Adventures this summer to make memories that will last a lifetime! We are based out of Williams Lake in the Cariboo Chilcotin region of British Columbia, Canada. Easily accessible by plane or as part of your BC road trip – you can even add one of our tours to the BC Ferries Discovery Coast Package Circle route. Our aim is to provide all tours in a sustainable manner, while enhancing the local culture and preserving the natural environment for now and the future. Every year, we also participate in Bighorn Sheep lamb counts and sturgeon tagging opportunities. 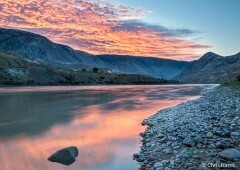 This 8 hour tour takes guests down into the canyons of the Fraser River. 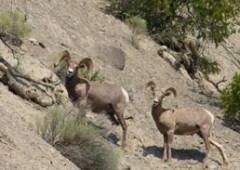 You will see some of the largest bighorn sheep herds located in the Chilcotin area. Your guides will explore interesting sites with you. You will eat lunch along the Fraser River and try your hand at goldpanning while taking in the beauty of the Fraser River.